About an hour before you plan to start making the Rustic Blueberry Cake Clafoutis, set out the eggs and butter to come to room temp. On medium speed, mix the butter and the sugar together until pale and creamy. Add the eggs one at a time and beat well. Sift in the flour, then gradually pour in the cream while beating, followed by the cinnamon and the almond extract. Continue to stir until smooth. 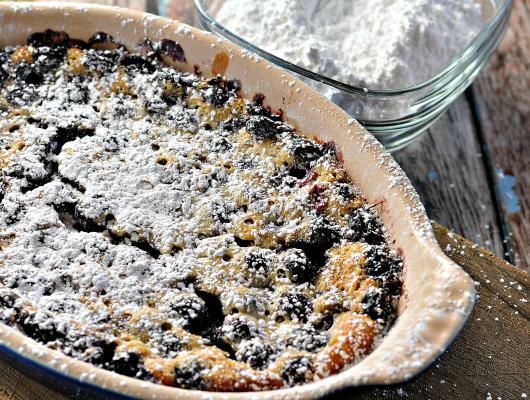 Arrange the blueberries (frozen is fine – fresh if you have them) in the bottom of the prepared oven proof dish, pour the batter over the berries. Transfer to the preheated oven and bake for about 40 minutes (this is plus or minus – begin to check at about 30 minutes – the cake is done with it is no longer wiggly in the center when you gently shake the dish). Will be puffed and golden when done. 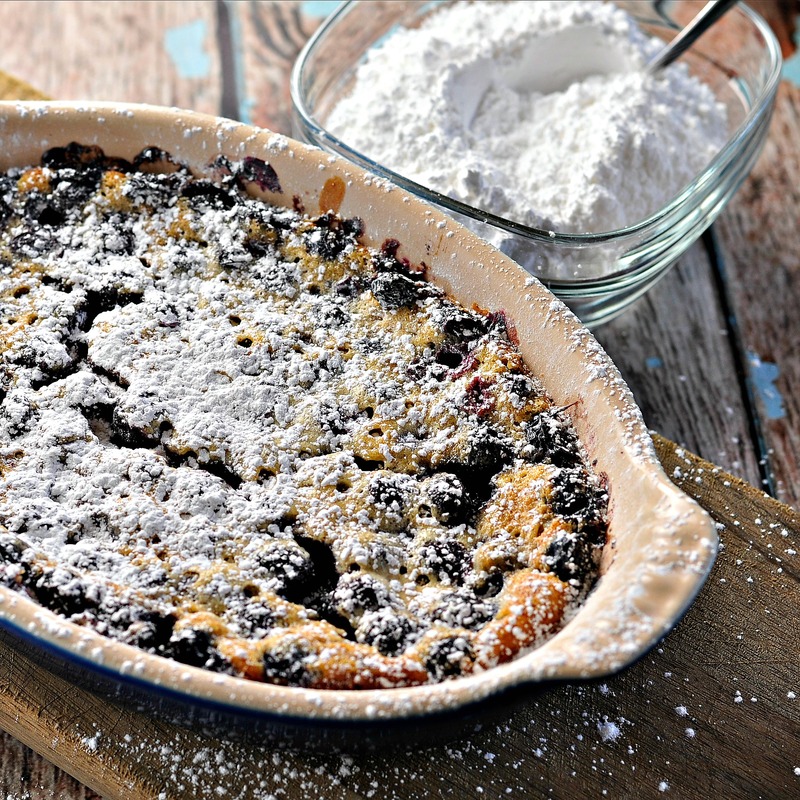 Remove from the oven and dust lightly with confectioners sugar.